Everyone's favourite Gold Coast Combo. 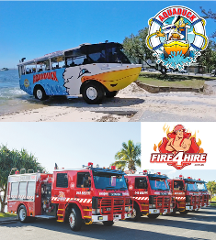 Save with the Aquaduck and Fire Truck Tour Combo Deal. 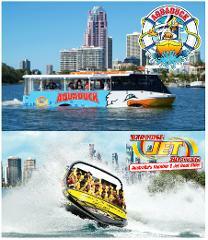 Experience two of the Gold Coast's most iconic experiences. 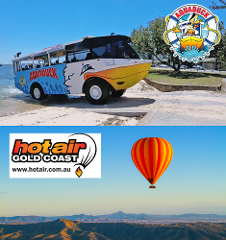 Hot Air Ballooning over Australia's Gold Coast and Aquaduck City Tour and River Cruise.